While everyone else was looking at the albatross colony, I was looking around for an interesting perspective. 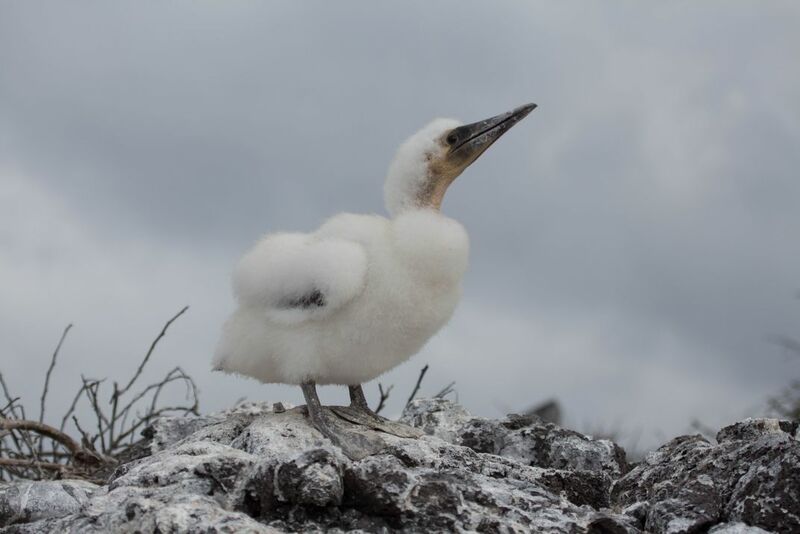 I spotted this Nazca booby chick perched on top of a rock and began photographing it. Date Uploaded: Nov. 24, 2017, 11:39 p.m.